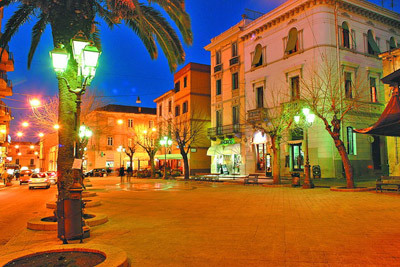 Olbia is one of the biggest towns in Sardinia and "front door" for tourists heading to Costa Smeralda in the north-east. It houses a large port known for ships and ferries connecting the mainland, and the airport Olbia "Costa Smeralda". With more than 2million passengers passing through the airport annually and close to 30,000 aircraft movements this is one of the busiest of all the airports in Italy, and there are domestic flights to and from Olbia from most Italian destinations. With passenger numbers on the rise year on year, Olbia airport is set to increase in popularity as more people choose to visit Sardinia. Remember that with car rental Olbia airport you can also pick up a car at the offices placed outside the airport. The early history of Olbia is still visible along the streets of the city and certainly deserves more attention. There are a Punic necropolis, city walls and Roman baths. 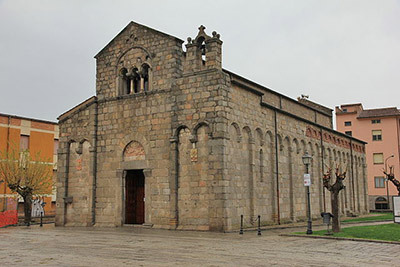 The Romanesque Basilica of San Simplicio dates back to the medieval period and it was built entirely of granite and dedicated to the bishop of Olbia martyred under the Emperor Diocletian in the third century BC. The church was built over a Roman necropolis whose remains are still visible inside. It keeps it a very interesting collection of Roman funerary inscriptions. In the centre you should also look at the church of San Paolo, dating from the seventeenth century and built in typical style of Gallura. The Museo Archeologico is an important museum within Olbia that is famous for the remains of some 24 Roman and medieval ships that were discovered on the site of the ancient harbour, many of which can be seen on display at certain times. Visitors should also walk to the town’s market square – the Piazza Mercato – which features a number of ancient artefacts, and there is an ancient stretch of paving outside the Town Hall which is of interest to those who enjoy their history. Olbia is an industrial city and not just the most idyllic locations on the Costa Smeralda, so you better not try to compare it to the best-known small coastal pearls positioned in a short distance. The city (Olbia city map) in fact can be understood as a break from the great luxury of its surroundings and it is undoubtedly much more affordable. The best beach in Olbia is Le Salon between Punta Saline and Capo Ceraso. Just 30 miles from it is Porto Cervo, still the nerve centre of the Costa Smeralda and home of the International Jet Set and nightlife. Needless to say, it is a place not to be missed, one of those "have to visit" places at least once in your life. There are some of the best beaches of Sardinia, for example that of Cala Crano, with its white sand surrounded by rocks or that of Portisco in the western Gulf of Cugnana. Porto Rotondo is located 18 km from Olbia and it is a typical village of the Costa Smeralda, very suited to families. The best beaches are the "Spiaggia dei Sassi" and Marinella, between Olbia and Golfo Aranci. Baja Sardinia is located in the Gulf of Arzachena, about 30 miles from Olbia: although still very expensive it is cheaper than Porto Cervo. Not to be missed is the resort of Cala di Volpe, one of the most beautiful beaches and small resorts of the Porto Cervo, about 25 km north of Olbia. The town is known for being the most luxurious of the island.